One of the many benefits of choosing Young Living Essential Oils is that their Vitality oils are safe for internal use. You know what that means for us foodies! If you are coming over from 4tunate.net, welcome! Jen is sharing a delicious recipe for hummus using Young Living vitality lemon essential oil that you’ll want to check out. Did you know that we recently experience a lime shortage in the US? Limes were hard to find for a while and the ones available were expensive. Thankfully, I had Young Living Lime Vitality Essential Oil to substitute in my salsa plus a few other dishes like the Coconut Lime Chicken we eat weekly. Puree all ingredients in blender until smooth. 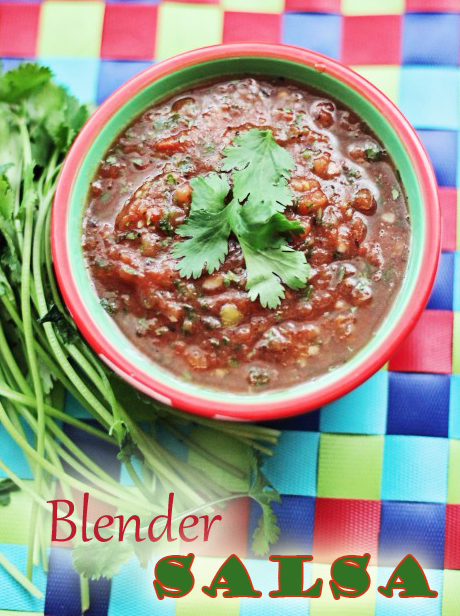 High heat destroys some of the properties of essential oils but with this easy blender salsa you can benefit from the therapeutic qualities of lime oil since no baking or cooking is involved. For a recipe involving heat like the Coconut Lime Chicken I mentioned above, I just wait until the dish cools to palatable temperature and stir the lime oil in at that point. If you bake or cook at high temps (anything hotter than a drinkable cup of coffee) the oil will still taste great in your dish, but the therapeutic value will be diminished. And we need those therapeutic benefits! Are you ready to start your oily journey with therapeutic grade essential oils? The time is now! Click here to learn more.